While groups like Media Matters document and debunk his daily ramblings, and conventional magazines and newspapers print adoring profiles, there hasn’t been much in the way of biographical information available about him. Beck’s backstory has been limited to his own cathartic and romanticized tale of ruin and redemption. Never mind that he got the facts all wrong, and that his scars must be even deeper considering that his mother reportedly killed herself to escape her demon seed, the point is that he acknowledges the value of exploring the upbringing of public figures like himself. So if you want to understand Beck, you would do well to read Common Nonsense for that historical context. Zaitchik has put together an intelligent and revealing look at a man who, from the start, seemed to have no interests outside of radio stardom, and certainly no interest in politics. He launched into an early orbit with an affinity for crude, and even sadistic, pranks. But that’s nothing compared to the cynical exploitation that marked most of his more recent endeavors. He clawed his way back from drug and alcohol addictions to become the sort of judgmental jerk that he surely would not abide with regard to his own failings. It’s a dramatic story, and Zaitchik has made it a compelling read. Of course, Columbus had no intention of finding a new world, nor did he believe that he had done so. He correctly thought that he could navigate westward to Asia, but he accidentally bumped into a previously unknown continent. Beck’s disciples, however, will have left the event believing that Columbus deliberately set of to discover America. So you have to ask, is this a reflection of Beck’s own ignorance, or a wily ploy to manufacture his own mythology? I had the opportunity to ask this, and other questions, of Zaitchik, who was kind enough to elaborate on some of the themes in the book. News Corpse: On a number of occasions Beck is characterized in the book as a “genius” or “brilliant” with regard to tapping into popular themes and marketing himself. However, I was struck by often his success was followed by failure, with this pattern repeating several times throughout his career. That inconsistency would suggest to me that he is more lucky than smart. Zaitchik: Lucky, yes, but I’d be careful about attributing too much to that. If you look at the two halves of Beck’s professional history – Top 40 radio and conservative yakker – there is really only one big crash. This occurred in the early and mid-90s, when Beck bottomed out at a tiny station in New Haven. For 15 years until then, he was mostly successful in the format and even considered something of a boy wonder. […] Once he picked up the pieces, got sober, and decided to pivot toward talk radio, he was very shrewd in convincing people to believe in him. By all accounts, he also worked very hard. Just because Beck doesn’t know what he’s talking about doesn’t mean he doesn’t know exactly what he’s doing. You don’t end up on the covers of Forbes, Mother Jones, Time, the Weekly Standard, and the Economist because of luck alone. NC: You pointed out that others in the media didn’t really get Beck. I have often wondered why so many actual journalists sit quietly while Beck trashes them and their profession. Beck, and more broadly Fox News, incessantly disparage the press as biased, incompetent, and even corrupt (which I agree with, but for very different reasons). Yet there has been little response from the journalist community (and I mean real journalists, not pundits and other purveyors of opinion). What are they afraid of? 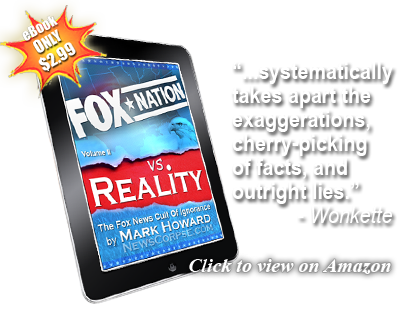 AZ: There have definitely been instances of staffers at major weeklies giving Beck a pass. David Von Drehle of Time comes to mind. But I think most journalists have been anything but shy in going after him with switchblades and hatchets. Joel Klein is one prominent example from the mainstream. Most op-ed writers have also either dismissed or abused him, including David Brooks. 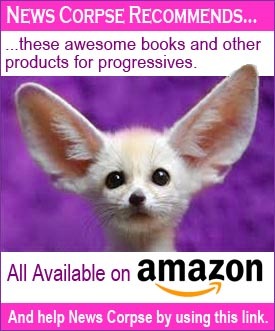 There was recently a good piece in the Weekly Standard by Matt Continetti that bent Beck over a barrel for misunderstanding the nature and history of Progressivism. But if you’re talking about media beat writers, like the Times’ Brian Stelter, it’s probably just because they don’t see that as their job. There is no shortage of active Beck bashing. On cable news, with the exception of Fox, he has long been everyone’s favorite piñata. NC: Finally, you described Beck as the “future of Fox News.” However, many conservatives and Republicans have recently put some distance between themselves and Beck. He is regarded by some to be detrimental to the electoral interests of the right. In light of his tendency to flameout as described above, and the prospect of a new generation of Murdochs (who are not as enthralled with Roger Ailes as is Rupert) assuming control of the network, isn’t it just as likely that he will fall from grace and be discarded? Beck may be problematic for all sorts of reasons, but the fact is he brings the heat, and his fan base is incredibly loyal. I think there’s a reason Stossel and Napolitano have been relegated to Fox Business. If the network brass just wanted a relatively coherent libertarian program, they could have given either of them a slot on FNC. But they don’t want a real libertarian. They want an incoherent but stimulating, bold but shameless conservative libertard like Beck, part rightwing Mr. Rogers, part Bible thumping G.E.D. instructor, part rodeo clown with a flamethrower strapped to his back. Those people are so much more fun to watch, and they don’t grow on trees. OK. I’ll give you that one. And speaking of trees, Beck is caught in the branches of a crazy one, and he wants America to talk him down. Sometimes I think that it isn’t Beck who we should be worried about. It’s his congregation of dunces. They are the evidence of the triumph to which Zaitchik refers. They are indeed incredibly loyal. I think that gives pause to some in the Fox News executive suites who might rather be rid of him. But how do you rid yourself of your spiritual leader without betraying your faith? They would have a holy war on their hands. If there are any rational voices in those ivory towers it would be wise for them to make themselves heard posthaste. Because history has some harsh lessons for those who abide Beck’s brand of insanity. Looks like a good read. Maybe it can answer that most fundamental question: What’s wrong with this guy! What’s wrong with this guy? I think we all know the answer to that. But what’s wrong with the people who follow him? And employ him? Can you add anything of substance to the discussion, or are you just trying to validate the book’s subtitle? Wonderful example of FOX and their audiences’ thinking. In any given situation there are two possibilities: good or bad, black or white, positive or negative. If the U.S. has deficits and Obama is president, Obama has created the deficits. Allow me to enlighten you Scott on why your joke is ignorant: the number of trees cut down to make paper is static, that is, they make a particular amount of paper per year without predetermining what that paper is. Then printing houses place orders based on their per year average use. Publishing Houses place orders for copies of a book based on projected sales. If the subject of a book has a limited but interested audience they won’t print as much. So you see, the number of trees cut down for a book that doesn’t sale as much is determined by a number of disparate factors, none of which have much to do with the actual over the counter sales. This counter-intuitive complexity is true of almost every single issue in politics, economics and foreign affairs. This is what Beck and FOX news in general refuses to disclose, opting instead to simplify in the least informative matter. All you ever say is he is wrong. My bet is you are unable to back up your propaganda with facts. Obviously you don’t read this site very much. I have proven, with facts, on numerous occasions that Beck is wrong. You’re welcome to go back and look for yourself, but I’m not going to do your homework for you. I will however point you to the bit about Columbus in this very article. Do you think Beck was right about that? Here is an example of his idiocy staring you in the face. You don’t even have to click to another page. Yet you ignore reality and make baseless assertions about me. Your criticism is so typical of the rightist flock. They say I never watch Beck’s program, or all I do is bash him. They never address the substance or engage in serious discourse. Your challenge is easily met by you just reading past articles, but my bet is that you won’t do it. this post does not concern the provable lies – available many places if you’re really interested in educating yourself – because it bases itself on the established fact – proven elsewhere and justified with endless evidence – that it assumes correctly that Beck lies. this post examines the story and motives behind, and effects of, this blight on society, particularly on his fan base who must willfully delude themselves in order to support him. Wally is just doing what so many right-wingers do: attack the speaker and ignore what was said. Interesting web site you have here, it’s my first visit. You deleted by post of a few minutes ago because it argues against your position. Well, how about a response this time? Deleted your post? That’s a lie. Again, all you have to do is look through past articles to see that I publish views that are starkly opposed to mine. I believe in free speech. If you are civil and stay on topic, you are welcome to comment here. I don’t know what you think you posted, but I never deleted it. I even checked my spam filter to see if it got caught there, but it wasn’t. So I would appreciate it if you would stop making false accusations. Mark: now watch as Wally returns with yet a third round of irrelevancies. glutton for punishment? But I took your advice and read a little of your “facts” you led me to. As expected, it didn’t take long to find one I can prove is wrong. are you kidding? yours didn’t get over the net. I need a new mouse, apparently I didn’t click submit hard enough. Thanks for clearing that up. Apology accepted. As for your example of a “proven” wrong fact, I responded on that page. Bottom line: What I wrote is 100% true, accurate and verifiable. Try again? Gee Wally, your very first post you challenge Mark for facts. He guides you to some posts and you respond that you find a single point you can refute. But not with facts but rather anecdotal testimony. I have to assume several things in order to accept your story. By the way, you might like to know that there are different laws that apply to the behavior of non-profit organizers and Corporations. A person acting on behalf of a corporation is considered the corporation in terms of policy. The corporation itself is liable for those actions. This does not always hold true for non-profits and their volunteers and/or short term employees. Your trying to make BP and ACORN analogous is, while understandable, erroneous in legal terms. Point is taken regarding the legal analogy. BP was a weak argument as Mark illustrated. It’s one thing to be conservative and have an opposing point of view from the one expressed here and other places. But it’s a totally different thing to defend Beck as anything other than a shrewd charlatan whose only goal is to become a multi-millionaire by selling lies and delusion. And you think you have? Dream on. Is this site a play on words? Just like obama’s idiotic navy “corpse”man gaffe? As a veteran of Iraq and Afghanistan I must say that with his little slip up he lost any semblance of respect he might have had left within the military. He’s a narcissistic, immature, inexperienced, nitwit. Who knows how to read a teleprompter pretty damn well, but doesn’t know what a navy corpsman is or does. This guy is our commander in chief? What a joke!! Wake up man. You’re worried about fox news while the same hateful rhetoric is being spewed from all sides. So you just came here to bash Obama and ignore the subject of the article? And you call other people “narcissistic, immature, inexperienced, nitwits?” Not to mention your obsession over a trivial verbal glitch. Mark, it’s not just a “trivial verbal glitch”. It’s just one more piece of evidence that he is a socialist, Marxist, foreign-born, country-destroying, evil Muslim infiltrator….or something…at least that’s what Fox News tells me…so it MUST be true! Corpse-man. Well if you came here to make me laugh, Dan, “Mission Accomplished”. Of course if you didn’t, well, fool me once shame on me, fool me twice shame on you..uh…shame on yo…uh,you can’t get fooled again. It could just be I misunderestimated you.